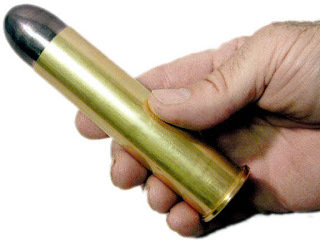 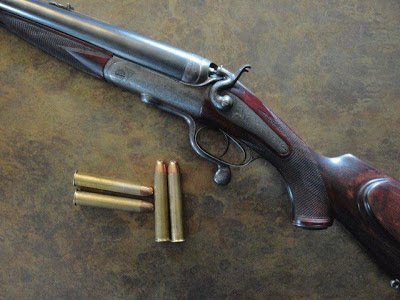 The .577 Nitro Express was descended from the .577 Black Powder Express, a cartridge invented by the late Samuel Baker who had Holland & Holland build him an express rifle in this caliber.This caliber is generally used for thick-skinned dangerous game such as elephant, rhino, and Cape buffalo. Even among professional ivory hunters of old it is typically treated as an emergency weapon carried by the hunter's gun bearer, reserved for stopping the charge of an enraged, wounded elephant in thick bushes rather than as a day-to-day hunting weapon. 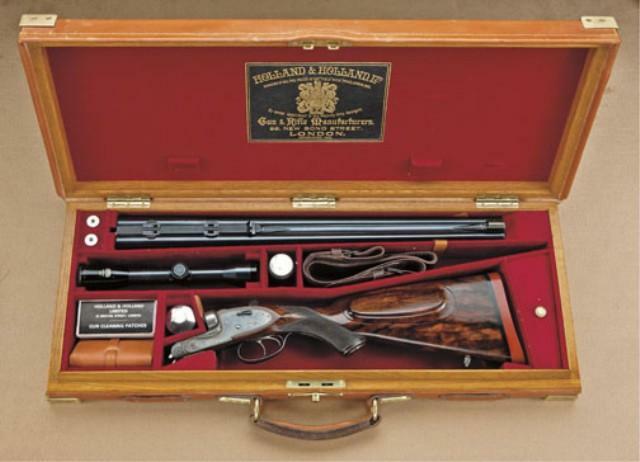 Only a few hunters such as James Sutherland did use it as their primary elephant rifle.